How many U.S. consumers are willing to spend $1,300 for a blazer, $170 for a dress shirt, $80 for a tie and $390 for a pair of jeans? Recently, WSJ wrote a story about apparel “made in USA”. Although apparel manufacturing will never disappear in the U.S. (as the case elsewhere in the world), neither is it likely that those lost labor-intensive manufacturing jobs in the apparel sector will come back in the future. Why? Just ask yourself: Am I willing to spend $1,300 for a blazer, $170 for a dress shirt, $80 for a tie and $390 for a pair of jeans? These are the price tags associated with “Made in USA” for apparel. Apparel is not a single case. If you’d like to enjoy your iPhone “Made in USA”, please add two “00” to the current price tag. Like it or not? Similar questions can also be raised to the Europeans, Chinese, Koreans and everyone else in the world. 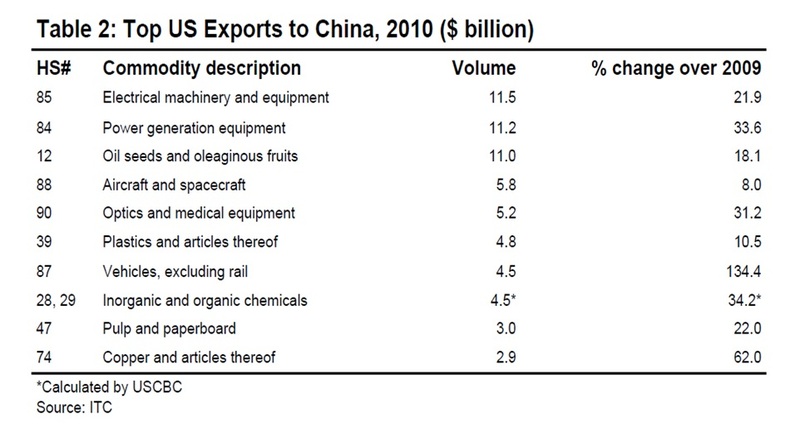 For example, what will happen if China does not import U.S. cotton but totally relies on its domestic supply? What will happen if each country tries to produce their own air plane instead of using Boeing’s aircraft? How about European retailers only accept credit card issued by an European financial service provider and reject Visa or America Express? And how long will it take to deliver a package to Asia if FedEx and UPS are not allowed to operate in these regions? Will these “changes” improve or worsen people’s daily life? The answer is obvious. Globalization does not mean “Made in China”nor “Made in USA”. Rather, it means “Made in the World” based on each country’s comparative advantage, it means getting access to the world resources and using them more wisely and more efficiently. Why not everyone engages in doing something they are good at doing and then exchange? This is why we go grocery instead of growing vegetables nor raising cows by ourselves today. Globalization also means a product now can reach the world market beyond the limited domestic market. But a country can only successfully export when another country is willing to import. This is why we need to support trade liberalization so that every country can export more of those products they are competitive in making. And definitely more jobs will be created domestically. I mean every country that engages in such global “exchange”. Author Sheng LuPosted on November 3, 2012 July 23, 2016 Categories International Trade, USATags apparel, Global11 Comments on How many U.S. consumers are willing to spend $1,300 for a blazer, $170 for a dress shirt, $80 for a tie and $390 for a pair of jeans? 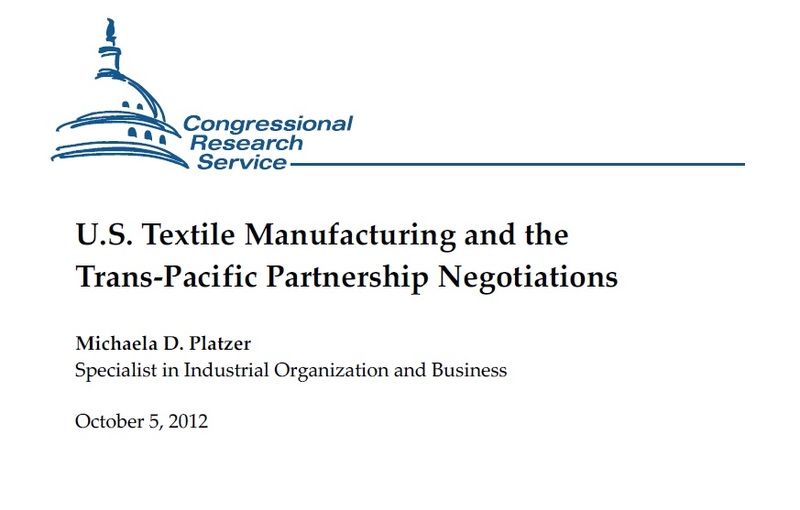 The Congressional Research Service just released its most recent study on the U.S. textile manufacturing industry and the Trans-Pacific Partnership (TPP) Negotiation. This is also one of the limited reference available so far that specifically addresses the sectoral impacts of TPP. Overall, this report did a good job of compiling latest statistics showing the operation of the regional trade & production network between the United States and those developing countries in central and south America. It also discusses why the U.S. textile industry appears to be very nervous about Vietnam. However, the study wasn’t able to quantify the impact of TPP, which leaves potential for future studies. On the other hand, although debates over TPP centers upon the rules of origin, we shall not forget about foreign investment–especially when geographically Vietnam is very close to China, Japan and South Korea. Even yarn-forward is adopted, why cannot Chinese factories move their factories to Vietnam? It shall be noted that China’s economy is undergoing structural change and it’s the time for some Chinese factories to “go offshore”.